Growing up I was not allowed to eat a ton of candy like some of my friends were after a night of trick or treating. Coming from a family full of dentists, my mother was never a fan of my sisters and I eating sweets by the handful. Over the years, I have tried to avoid candy as much as possible and now passed that down to my children. Though, the family members who are dentists don't seem to follow the same rules now with my children. So when Xlear contacted me to let me know they had teamed up with some other great brands and Dentists to bring today's youth with the Halloween Candy Buyback Program, I found it to be a wonderful and creative idea. The Halloween Candy Buyback is a program where kids of all ages can trade in their candy for things like the chance to win cash and prizes. The candy is then sent over to Operation Gratitude which sends the candy to the U.S. Military. Not only are you teaching your kids to steer away from sweets your teaching them the gift of giving. This is a great opportunity to start teaching the younger generations what it means to give back. Too many people in this world give something and want something in return. Lets teach the younger generations that it's ok to give especially to support your local community and/or our service men and women. 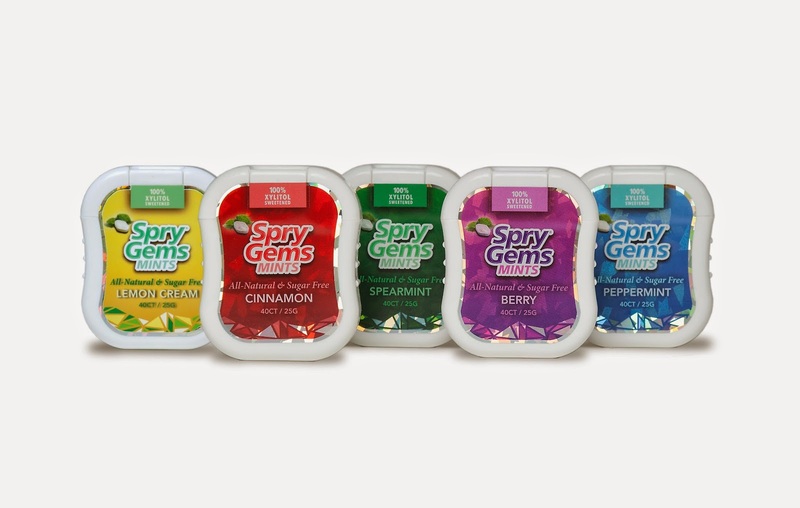 "SparX tiny bite-size fruit-flavored candies are a new sugar-free candy line sweetened exclusively with all-natural xylitol. One of the primary benefits of xylitol and SparX Candy is the effects it has on the bacteria that create cavities. When exposed to as little as 15 grams of xylitol a day, the bacteria in the mouth lose their ability to stick to teeth and form plaque." With Dentists recommending SparX candy and Spry mints to families, this can be a great substitute or trade in for children participating in the Halloween Buy Back Program! Dane and Declan are hooked on these little candies! In fact, they've been asking if they can expect them this year for Halloween! To find a dentist that participates in the program go to halloweencandybuyback.com.